That works out to be just $1.00 each after coupons and rewards when you buy two! With leftovers a plenty you can store them for super cheap!! 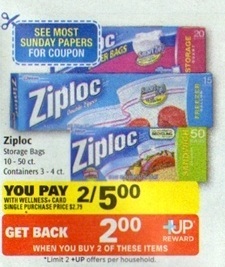 Check out the other Rite Aid deals here. If you’re a Target Shopper, don’t forget about the Target Scenario I told you about this morning.